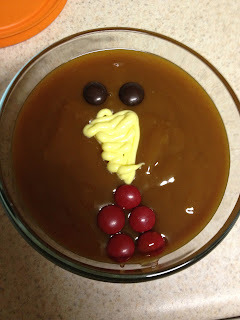 I'm in full-throttle football-watching, binge eating, family loving Thanksgiving mode; however, I had to leave you with my feeble attempt at a "Saw it, Pinned it, Did it" post. 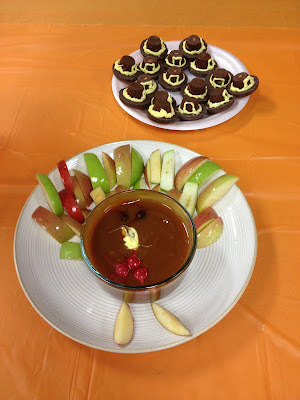 we had a little Thanksgiving feast at school on Tuesday and decided to get "pinteresting"
nowhere near as glamourous, appetizing, or adorable. this is why I don't "craft"
however, they tasted equally as delicious and fortunately I didn't go home with any leftovers! for the pilgrim hats all you'll need are mini reeses cups, chocolate cookies (I used mock tagalongs from wal*mart - they went perfectly w/ the PB reeses cups), and yellow icing. for the turkey, make sure your lid doesn't smoosh the adorable face, otherwise it'll turn out like mine did (wwwwwomp). 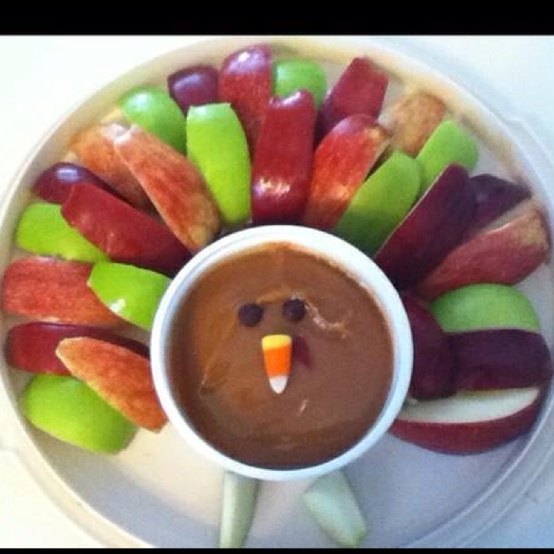 I can't wait to see your Thanksgiving pinspired ideas!! all pins found here. be sure to follow along! 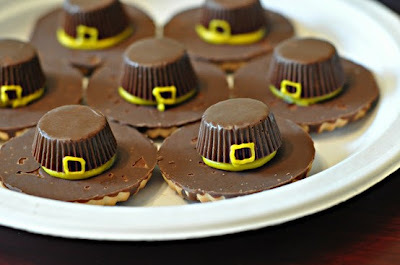 Oh my gosh, those little pilgrim hats are SO CUTE! What a cute idea! Love em! You're so crafty! Your versions are fabulous! They look so good! 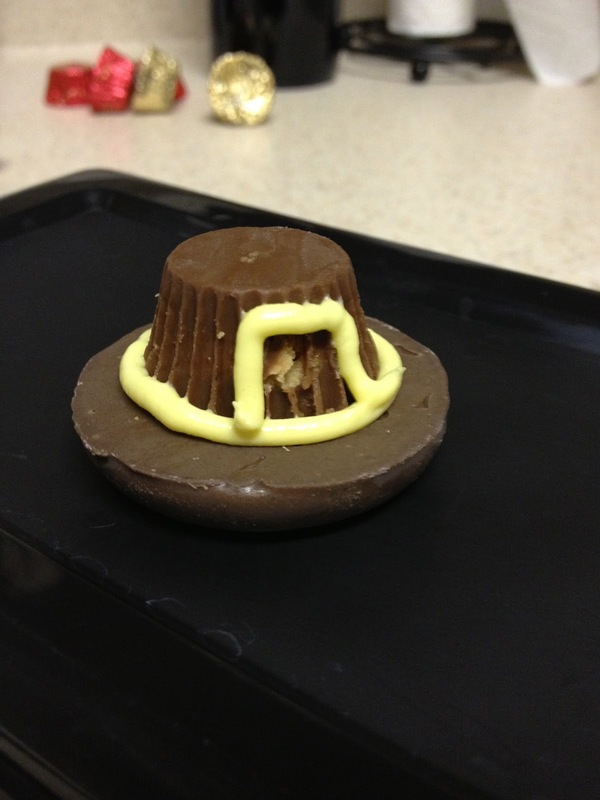 My pilgrim hats and turkey dip would never come out that nice lol!